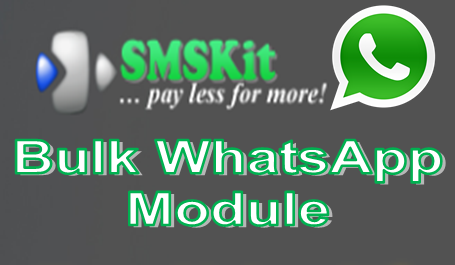 Send out-bound bulk textual whatsapp messages from SMSKit.net whatsapp gateway API from as low as $0.005 per message. This module allows you to integrate SMSKit.net WhatsApp API on Sendroid Ultimate. The module supports out-going Textual WhatsApp messages by default. Please note you will need to fund your smskit.net account before you are able to send messages. You can contact SMSKit.net Support team to obtain your own dedicated WhatsApp channel or to use your own WhatsApp account number for your messages.